The highest possible quality of care for the patient. Upon successful completion of all three examinations an endodontist is certified as a "Diplomate of the American Board of Endodontics". Certification as a Diplomate signifies a unique achievement. 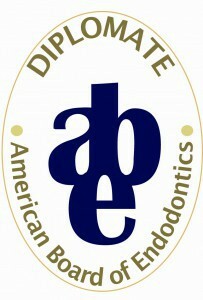 Dr. Collins is a Board-Certified Diplomate member of the American Board of Endodontics. Dr. Collins is currently one of two board-certified endodontists in Austin, Texas.